Istanbul--The United States should help Iraqi Prime Minister Nouri Kamal al-Maliki fend off the Islamic State of Iraq and Syria given the threats the group poses to American allies and interests, but Washington should also let Iraq go. The country no longer makes sense to the people who live there. When the Islamic State of Iraq and Syria (ISIS) marched into Mosul last week it was hard not to imagine that the Middle East was entering some previously unimaginable new era. A terrorist group that suddenly looked like a liberation army of sorts was setting up a proto-state across two major countries of the region. If all the incorrect references to the “end of Sykes-Picot,” which died in 1919, are any measure, the ISIS invasion and prospect of Iraq’s split evoke an earlier time when Georges Clemenceau, David Lloyd George, and Woodrow Wilson as well as newcomers to the scene, Feisal bin Hussein bin Ali al Hashimi, Mustafa Kemal, Saad Zaghloul, and Chaim Weizman, among others, struggled over the “Near Eastern” or “Turkish question.” In the ensuing almost one hundred years, the borders that came to be after Versailles have become institutionalized and a sense of national identity has become embedded in the minds of Jordanians, Lebanese, Palestinians, even Syrians, but the Iraqi story is more complicated. The cases of peaceful dissolutions of countries are few and far between—the velvet divorce between Czechs and Slovaks being the only one of recent memory. It is also likely that if Scots vote for independence in September, Royal Marines will not march on Edinburgh. The end of the Soviet Empire did not result in the bloodshed that one might have imagined, unless one is a resident of Grozny. Still, most partitions are hard and bloody. How many South Asians died when Pakistan split from India or when East Pakistan became Bangladesh three decades later? The Sinhalese fought a bitter war against the Tamils to save Sri Lanka. How many Bosnians, Croats, Serbs, and Kosovars died fighting each other in a country that no one much wanted to exist? Yugoslavia was the Iraq of the 1990s and it may yet be that Libya is the Iraq of the next decade (or this one). Just because dissolution and partition is hard and bloody, however, does not mean that the United States and its allies should do everything possible to forestall this outcome in Iraq. Leslie Gelb and then-Senator Joe Biden set off a bruising debate in May 2006 when at another desperate moment they suggested that Iraq be dismembered for the sake of Iraqis and the poor Americans who were stuck in the middle of someone else’s civil war. Iraq looked to be on the verge of collapse, but the force of American arms and a policy right out of the colonialists’ handbook of enlisting locals—with copious amounts of money—to fight on the side of the United States rescued the country. There will be no surge this time, however, and no sahwa (or “awakening”) nor “sons of Iraq” to fight off al Qaeda of Iraq. Ironically, those sons of Iraq are not as committed to Iraq as the historiography of the surge and awakening suggest. It is true that Abu Musab Zarqawi in the first iteration of ISIS overplayed his hand and alienated the people of Anbar, Nineveh, and the other parts of Iraq west of Baghdad. Yet the fact that Zarqawi’s nihilism repelled them does not mean that the tribes of the area were necessarily committed to the idea of Iraq. The Anbar province, in particular, was never completely assimilated into the country in a manner that made sense to the people there. It is no surprise then that at those moments when even Saddam Hussein faced challenges to his rule, they invariably came from Anbar—with the exception of the Shi’a and Kurdish uprisings of 1991. 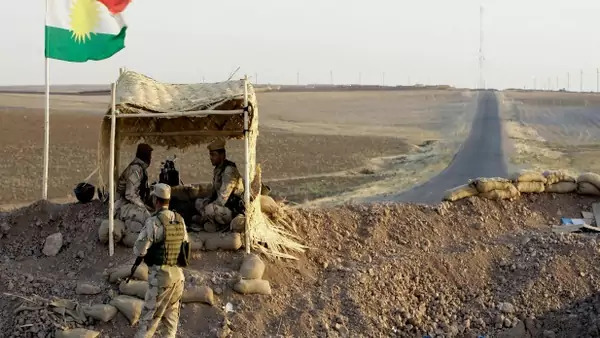 It should not come as much of a surprise that ISIS began its offensive six months ago in Anbar and has now extended it to the neighboring Salahaddin province all the way up to Mosul. These are places of profound alienation and resistance to Baghdad, but it is not just Saddam’s Baghdad or Maliki’s Baghdad that is the problem; it is Baghdad, more generally. Had Maliki been inclusive—something that was impossible given the constraints and incentives of Iraqi politics—he likely would have still confronted resistance from areas of the country that chafe at the centralizing propensities of those in the capital. And herein lies the fundamental problem of Iraq: The country’s political physics create pressure to pull it apart. To the extent that people in Anbar and neighboring areas, no less the Kurds and many in the south, do not want to be ruled from Baghdad, it only gives impetus for rulers there to accumulate power in an effort to ensure that the country remains intact. Yet this only fuels yet more resistance to the capital. It seems that only Saddam-like brutality could keep the country together. Once American forces smashed that system of fear, the process of dissolution was set in motion. If the Sunni tribes of Anbar and elsewhere have chafed under the centralizing forces of Baghdad, the same (and more) can certainly be said of Iraq’s Kurds. In 1925, at the recommendation of the League of Nations, which was under the pressure of the British Foreign Office, the former Ottoman vilayet of Mosul was unceremoniously attached to the state of Iraq. The British, who held the Mandate for Iraq, were less interested in the people who inhabited the area than what was underneath them—oil. The inclusion of Mosul in King Feisal’s synthetic realm happened over the strenuous objections of both the large numbers of Kurdish inhabitants and the government of the newly established Republic of Turkey. The Kurds wanted nothing to do with Iraq and the Turks feared the loss of Mosul would—despite the fact that Iraq’s Kurds were folded into what was then the Kingdom of Iraq—nurture the development of Kurdish nationalism. In the eighty-nine years since, the Kurds have been searching for ways to undo what the League did while Ankara has sought to block them from doing so. In a quirk of fate, ISIS has done significant service to Kurdish independence. They have struck a blow to the Iraqi security forces, allowing the Kurdish army—known as peshmerga—to take over Kirkuk, a city central to the national aspirations of Iraq’s Kurds. Now that it is in Erbil’s hands, they are unlikely to give Kirkuk back. There remain many obstacles to that Kurdish dream, including the Kurds’ own difficult internal politics and an economy that cannot yet support it, but ISIS has removed one of the biggest obstacles in the Kurds’ path: Turkey. Abu Bakr al Baghdadi’s march on Iraq all the way down to Tikrit will likely force Ankara to accommodate itself to Kurdish independence. As counterintuitive as it may seem given Turkey’s one-time implacable opposition to the emergence of an independent Kurdistan, Kurdish strongman Massoud Barzani will be Turkish Prime Minister (soon to be president) Recep Tayyip Erdogan’s best partner in insulating Turkey from the security threats emerging from Iraq. Suddenly, for Turkey’s foreign policy establishment and military leaders, an independent Kurdish buffer in Mesopotamia looks rather appealing. Iraqis in the south do not seem any more committed to the country than either those in the rapidly expanding areas under ISIS control or Kurds. Just because Maliki is Shi’a and the southern part of Iraq is predominantly Shi’a does not mean there is a shared sense of national identity. The response among the Shi’a to defend Baghdad is impressive, but it remains to be seen whether the volunteers view this as a national or religious duty. Of course, it could be both, but the intention of ISIS to replay something akin to the battle of Karbala in 680, which contributed to the emergence of Shiism, has certainly aroused Iraq’s Shi’a on specifically religious grounds. Ayatollah Ali Sistani, who did everything possible to keep the lid on Sunni-Shi’a violence during the dark days of 2006 and 2007, has made a direct sectarian appeal to meet the ISIS threat. It seems that the exigencies of a potential wide-scale intra-religious conflict is the most potent factor mobilizing the Shi’a in the south, rather than national sentiment. Economic grievances are also pulling at the tenuous links between the Basra governorate, for example, and Baghdad. Basra sits atop Iraq’s largest pool of oil, but it is also its poorest governorate. Local officials have long complained that federal authorities have thwarted the area’s ability to rebuild and have sought—in line with the Iraqi constitution—to establish itself as a “region” with powers independent of Baghdad. Whereas the commitment to a federal Iraq with enhanced powers to pursue their own development strategies once made sense to Basra’s leaders, they may be thinking otherwise given the current turn of event in Iraq. With considerable parts of the country under ISIS’s control and the Kurds looking for ways to capitalize on Baghdad’s weakness to advance their own independence, why would Basrawis stay? The area has so much black gold that it could look like Dubai if it was not saddled with Baghdad. Kurdistan, ISIS-land, and the state of Basra will not emerge effortlessly. Iraq’s dissolution will be bloody and protracted. The irony being that although no one wants to live in Iraq, the people there will fight over its remaining spoils—mostly oil. In the midst of this maelstrom, prominent voices will call for some sort of American return to Iraq. Smart and well-intentioned people will propose aid packages, drone strikes, air strikes, special forces operations, political deals, envoys, and Special UN representatives none of which will help matters very much. Iraq is broken and it cannot be put back together again.